Educators have always been interested in mistakes. However, the current interest in Mindsets has generated a new wave of interest in mistakes, their role in learning and how they relate to a student’s Mindset. Should we praise mistakes? Encourage mistakes? Avoid them? How do we correct mistakes? In short, what is all this interest in mistakes about? Mistakes aren’t just an inevitable part of learning. They are a necessary and helpful part of learning. They show us that we are in our Learning Zone. And, when used correctly, they act as signposts for future learning. Of course, not all mistakes are equal. Some are more helpful for learning than others. Eduardo Briceno, co-founder and CEO of MindsetWorks, points out that stretch mistakes are the most valuable kind of mistake. Not because we make them intentionally, but because we enter a learning situation with the understanding that mistakes will occur and we intentionally set out to learn from them. Mistakes interact with Mindset in two important ways. Firstly, someone with a Fixed Mindset tends to avoid mistakes. If mistakes do occur, they ignore them, and so tend not to heed the lessons mistakes contain. Secondly, continually making mistakes and being unable to correct them can lead to a learning plateau. The cascade of emotions that accompanies this can contribute to the development of a Fixed Mindset. A lot of what we hear in social media about mistakes is plain wrong. We shouldn’t praise mistakes. We should praise students for the actions they take to correct them. We should praise students for attempting tasks that are hard enough to learn from. Furthermore, every mistake you make is not progress. Every mistake you correct is progress. Ultimately, it is how we use mistakes and the lessons we extract from them that are important, not the mistake itself. These issues and more are explored in my free e-book, Getting Misatkes Right! How and when mistakes should be used in the classroom. 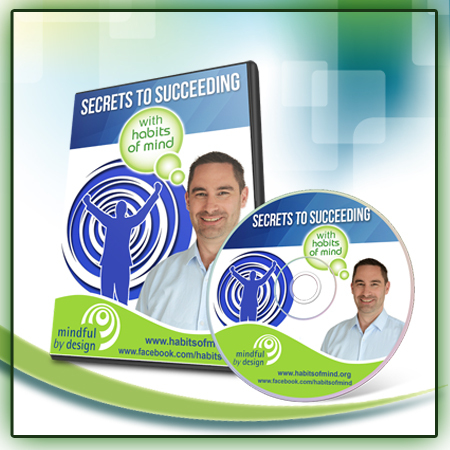 This e-book gives you practical and insightful tips on the two-way relationship between Mindset and Mistakes. You will learn how to correct misunderstandings about mistakes, and how to effectively praise mistakes in your classroom to help your students develop a Growth Mindset. You might also be interested in my “Mistakes Series” posters. A set of six beautifully designed posters highlighting the importance of the way we make use of mistakes. Available as a set of 6 from the Mindful by Design Store.